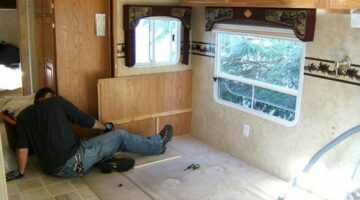 Here RV owners are sharing their own personal experiences & favorite tips to help you make room for all your stuff inside an RV. 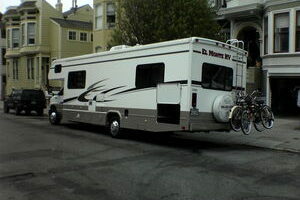 Clever ways to make the most of limited space and what you need to know about RV weight limits. 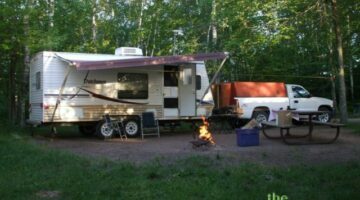 Find how much weight your RV can legally handle, how much your RV weighs when it's empty, and how much it weighs after you've packed it for an RV trip. 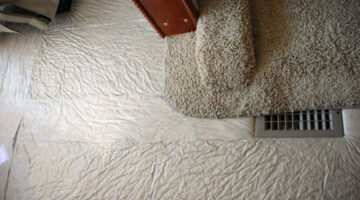 RV Central Vacuum Systems – Clean Your RV Carpet With Ease! 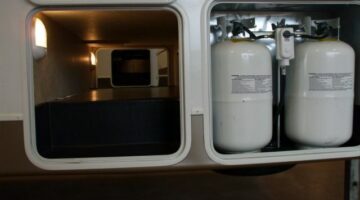 The best part about adding a central vacuum system to your RV is the fact that it will preserve the carpet inside your RV while keeping your resale value high as well! 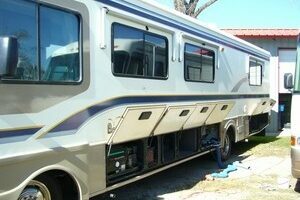 Here are the best RV central vacuum systems worth considering. 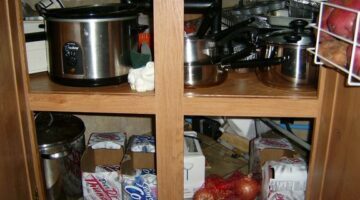 Here are 5 ways to make the most of the limited storage space inside your RV. 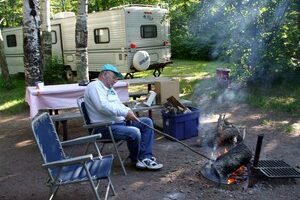 Here are my top picks when it comes to RV camping accessories like: a camp stove, fold-up table, extra propane hoses, portable grill, cast iron cookware, reclining outdoor chairs, and an emergency radio. I have my favorites, which are yours? 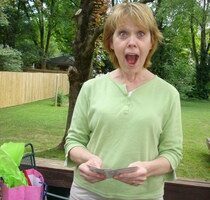 RV Weight Issues – All That ‘Stuff’ Really Adds Up! 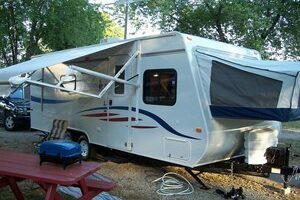 Just as you need to know your RV’s height limitations and width limitations, you also need to know your RV’s weight limitations. 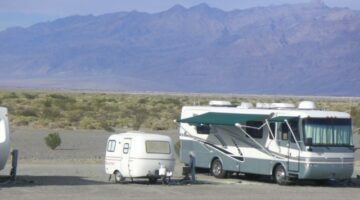 Here’s how to tell how much weight your RV can legally carry, as well as how much your RV weighs with everything on board. 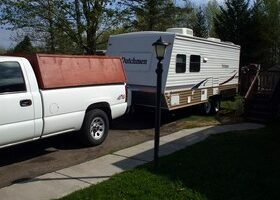 An equalizer hitch is probably the most important part of towing a travel trailer. That, and how well you properly load the trailer. 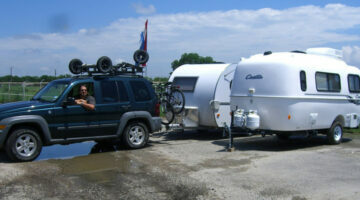 Here are my best tips for loading and towing RV travel trailers. Good news: Just because you’re spending the Christmas holiday on the road in your RV doesn’t mean you can’t decorate just as extravagantly as you have in years past. In fact, there a lot of things you can do that wouldn’t even be possible back home! Here are some Autumn and Thanksgiving decorations that work great in small spaces. These will add a festive touch to your RV — without emptying your pocketbook. 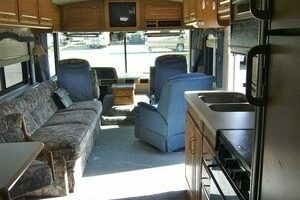 There are several ways to carry the ‘green’ way of life into your RV lifestyle. Here are 5 things you can do to help restore and protect the environment when you’re RVing. Plus, some great tips for using alternative fuels in your RV or pickup truck.